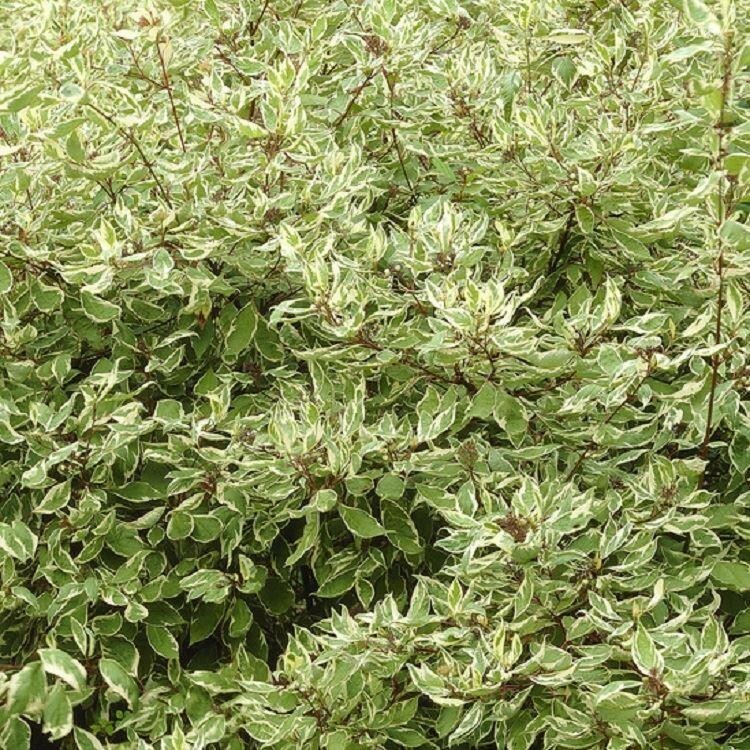 Variegated form of Red barked dog wood. 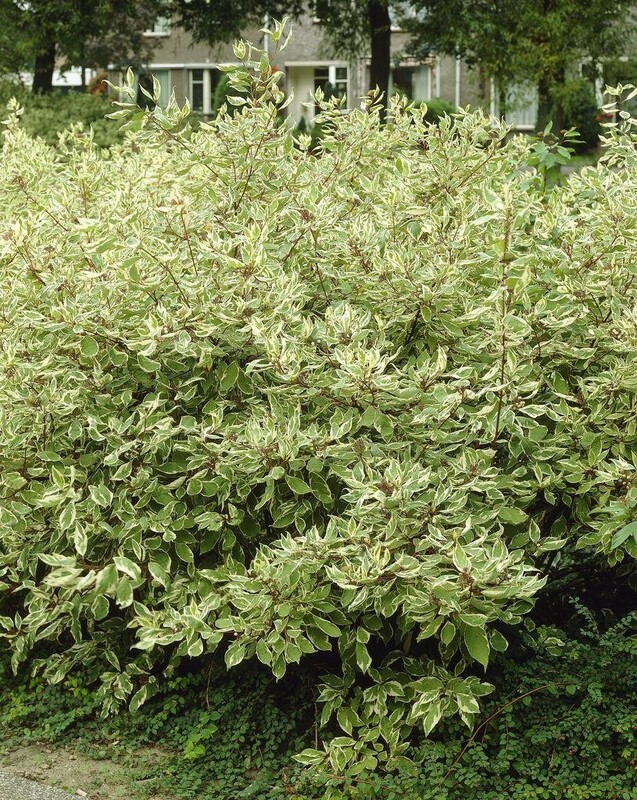 Creamy flowers in May & June with oval, dark green leaves with an attractive wide creamy white margin, reddening in autumn, then falling to reveal bright, red stems. Perfect for a waterside planting. Strong plants in 3 Litre containers.